The two new Rainbow Six Siege operators arriving with Operation Wind Bastion won’t be available for pro-level play during the next season, thanks to a new ‘Grace Period’ trial period introduced by Ubisoft. Balancing operators for pro play takes some time, as Rainbow Six Siege’s development team has discovered first-hand. The company says it’s going to implement a three-month evaluation period for new operators, during which time pros will be able to experiment with new operators and provide feedback on how they’re shaping the game at the esports level. Ubisoft says this is meant to “avoid further unintended mechanics at the highest levels of competitive play” and “maintain the game’s competitive integrity” as new maps and operators are added to Siege. In a post to the official Rainbow Six site, Ubisoft points out that this three-month grace period before new operators are cycled into selection for pro play already applies to new maps in competitive. “Now that we’re extending a similar program to our Operators, this will ultimately allow a better competitive play and viewing experience as we take the time to gather the appropriate data to fine-tune content releases,” the statement reads. The evaluation period will by default be set at three months, although depending on feedback from pro players and the design team’s analysis, that time could be extended. Ubisoft stresses that this only applies to esports, meaning the Rainbow Six Pro League, Challenger League, the Six Invitational, Majors, Minors, Go4, and other Ubisoft-sponsored competitions. Everyone else will be able to use new operators in casual and ranked playlists. It’s a sensible call – new operators bring new abilities to the game, which can have drastic impacts on the Siege meta. That can throw off the carefully-tuned strategies of professional teams, and having some extra time to make adjustments once the operators are out in the wild will help make sure nothing too crazy happens in tournaments. 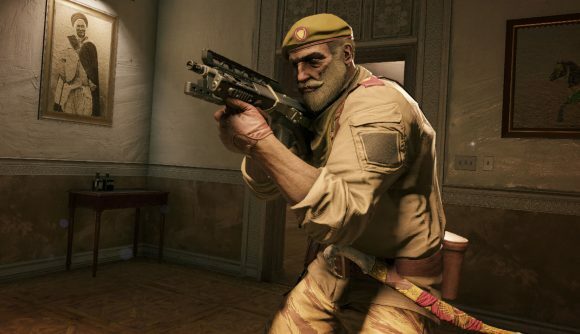 The Operation Wind Bastion release date is this week, and Nomad and Kaid have already gotten some nerfs since debuting on the test servers – Nomad’s Airjab ability, for instance, has been altered to include a 1.5 second delay between when you’re hit with the projectile and when it activates, which means players struck by the ability will have a chance to fire back before they’re stunned.